Students at Mohawk College’s Fennel Campus in Hamilton were welcomed back to school last fall with an 8919-m2 (96,000-sf), solar-powered, and state-of-the-art research, learning, and lab facility. The International Fire Safety Standards Coalition is committed to developing a shared set of standards for fire safety in buildings. Shown is the Grenfell Tower fire on June 14, 2017. More than 30 organizations from around the world have joined forces to develop landmark industry standards to address fire safety in buildings. The group, known as the International Fire Safety Standards (IFSS) Coalition, was launched at the United Nations in early July. The coalition consists of local and international professional bodies and standard-setting organizations committed to developing a shared set of standards for fire safety in buildings. 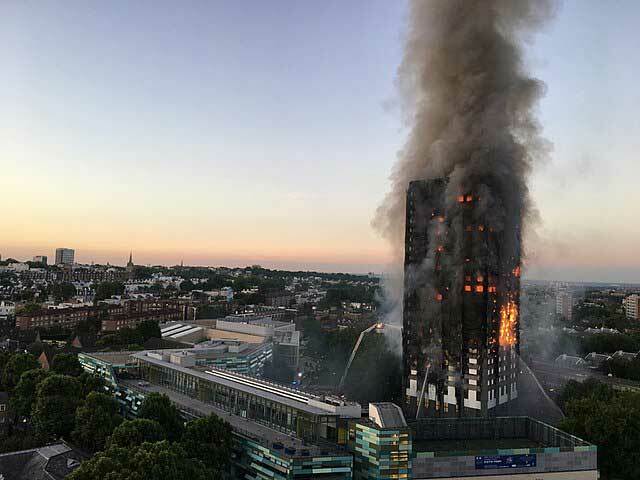 The standards aim to set and reinforce the minimum requirements to which professionals should adhere to ensure building safety in the event of a fire. According to the coalition, the property market has become increasingly international with investments flowing across national borders, but the sector lacks a consistent set of high-level global standards that will inform the design, construction, and management of buildings to address the risks associated with fire safety. “All over the world we see the need for more high-rise structures, some residential, some commercial, and some mixed-use buildings, particularly in cities. Our concern is not with the height of these buildings but with the risks they pose in the absence of a coherent and harmonized approach to setting global standards in fire safety. The effort by the IFSS Coalition aims to address this concern and bring together the design, construction and management aspects of ensuring fire safety of building assets,” explained Gary Strong, RICS global building standards director and chair of the IFSS Coalition. RICS is a global professional body promoting and enforcing the highest international standards in the valuation, management and development of land, real estate, construction and infrastructure. The group says differences in materials testing and certification, national building regulations or codes, and standards on how to manage buildings cause confusion, uncertainty, and risk to the public. Once the high-level standards are developed, the IFSS Coalition will work with professionals around the world to deliver the standards locally. As its first order of business, the IFSS Coalition will set up a Standards Setting Committee of international technical fire experts to develop and write the high-level standards.